Oceanfront 2 bedroom (master bedroom, loft bedroom and an additional bunk nook off living area); 2 bath condo has its own private balcony overlooking the ocean. Large flat panel television with Blu-ray player in main living space; TV in loft space; and TV/DVD combo in the master bedroom. Gaming console. Living room comfortably furnished. Fully equipped kitchen includes microwave and dishwasher. Washer/dryer in unit. Wireless internet access. Oceanfront pool and spa with private walkway to the beach. 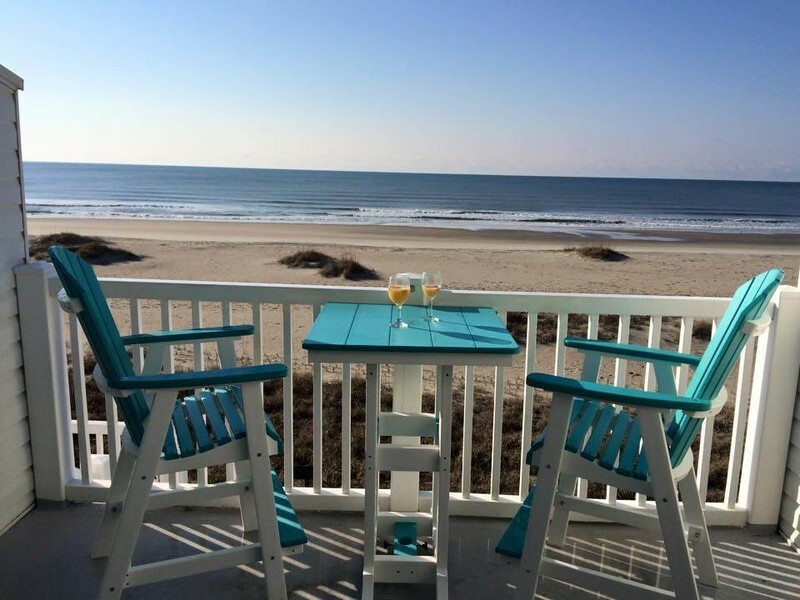 Conveniently located in the heart of Ocean Isle Beach!. All the bed and bath linens are provided with beds made upon your arrival! Q: How many parking spaces? We need 2. And if there is only 1 what are our options? Parking is first come, first serve at Ocean Cove. Upon arrival, you will receive two parking passes to place in your vehicle's rear view mirror while parked at the property.